Despite earlier reports that The Law Offices of David J. Stern has shut its doors forever, the firm still appears to be functioning. 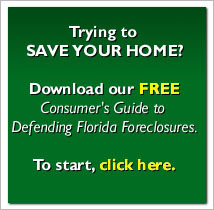 According to documents filed with Florida’s Secretary of State in early 2012, the law firm is still operating at a Brickell Avenue address with Stern’s long-time partner-in-foreclosure Forrest McSurdy taking the helm. Mysterious New Signals from Bank of Amercia: Is it About to Bust? The deposition of David J. Stern has been released. As of this posting, I haven’t even read it yet—I just wanted to get it out there.